What to look for when buying a used Kia Sorento? The Kia Sorento began production in 2002 as a midsize SUV and then crossover, primarily for the U.S. market. It has become one of the automaker's best-selling vehicles. The Sorento is known for its value-oriented pricing and industry-best warranty. The first-generation Sorento entered the market as a 2003 with a traditional body-on-frame sport utility vehicle (SUV) build. An optional four-wheel drive system with low-range gearing made it a true 4WD vehicle. Both a manual and an automatic transmission were offered and a V6 engine were offered. The second-generation Kia Sorento came in 2010 and became Kia's first U.S.-made vehicle at the company's new facility in Georgia. The Sorento became a crossover with this generation, moving to a unibody construction instead of a truck-based body-on-frame build. Body styling and interior comfort levels were major changes to the Sorento, setting its current reputation as being a low-cost family hauler that doesn't skimp on comfort and convenience. For the 2015 model year, the Kia Sorento entered its third-generation. This generation continued forward with the changes found in the previous, but added more modern comfort and an updated Kia design for the exterior. Slightly larger and wider, the Sorento is also a bit lower to the ground to improve handling. Powertrains were completely upgraded for better fuel economy. There are several engine-related issues reported often for the 2012 and 2014 model year Kia Sorento. Most happen within the vehicle's powertrain warranty period and are thus covered. The Sorento otherwise has an excellent reputation for reliability. What is the average price for Used Kia Sorento? How many are for sale and priced below market? 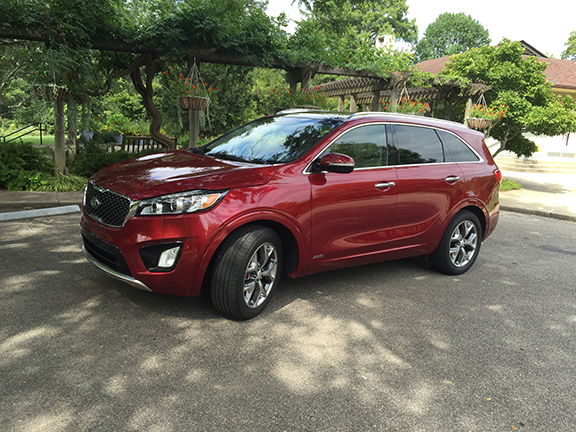 What Kia Sorento model year and mileage can you get for your budget? Where does used Kia Sorento rank in comparison to competitor vehicles? What Is The Average Price Of A Used Kia Sorento By Model Year? What Is The Average Price Of Competitor Cars To The Used Kia Sorento? What Is The Average Price Of Used Kia Sorento In The Top 10 Cities? The 2014 Kia Sorento was given a "Top Safety Pick Plus" Rating by the IIHS (Insurance Institute for Highway Safety) which is their top score and mightily impressive given the relatively small size of the Sorento compared to competing three row SUVs. You really can't cram more space for passengers into a smaller SUV design than the Sorento and in that lies its strength and one small weakness. Yes, the Sorento's third row is best left to kids for regular duty and an adult only in case of emergency. 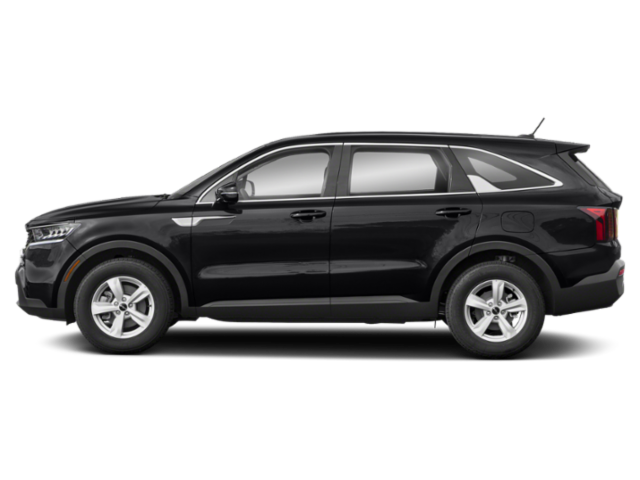 Prices for the 2014 Kia Sorento start at $24,100 for the rather gutless LX model which only comes equipped with a wheezing 2.4 liter 191 horsepower 4-cylinder that is overpowered by the weight of this SUV. We recommend at least going for the $30,000 EX trim which makes the 3.3 liter 290 horsepower V6 standard equipment along with dual zone climate control, Bluetooth, USB/i-Pod integration, power front seats, push button start with smart key, heated front seats and more. Move up to the $35,000 SX model for a panoramic sunroof the length of the entire SUV, in-dash navigation, rear power liftgate and Kia's excellent UVO smart phone connectivity system among plenty of other features. You can also then either add options piece meal to the SX or just order the $38,500 Limited model which adds heated second row seats, Nappa Leather Seat trim and 19-inch chrome oversized alloy wheels.